One of the nicest things about having an allotment is seeing things re-emerge in spring bringing colour back to the plot. For me this means seeing the ‘Cowslips’ flower and provide nourishment for the bees as they emerge from their winter sleep. Cowslips are a particular favourite of mine. They transport me back to my childhood growing up in Dorset where the chalky hills around our village would take on a yellowy hue an I would pick bunches of them for my mum. This would not be allowed now as they are protected, but 30 years ago this wasn’t the case. Whilt not traditionally regarded as fragrant, they do have a very particular scent and this more than anything else I can think of, is my Proustian Madeleine. Cowslips are also part of our family fokelore thanks to some Cowslip wine my maternal grandmother made. After a long maturation period she insisted my father try it on one of our Sunday visits. So potent was it, that after a small hunting sherry glass of it, my father suggested my mother to drove us home that evening. This has lodged in my memory despite being the youngest and very young at the time. Now anything that take your breath away ‘has something of the cowslip wine about it’. Anyway, with all this in mind I went off to the garden centre and bought some certified cowslips and grew them on the plot. Having previously grown primula from seed I collected up the seed and raised my own seedlings with a view to underplanting the pear tree with them over the coming years. when they flowered however, I got a bit of a surprise, some looked like cowslips, but other looked distinctly like oxlips, not what I was after at all. I looked into it and it seems there has been debate among natural historians since Darwin as to whether the Oxlip is is merely a cross of primroses and cowslips, or a separate plant altogether. 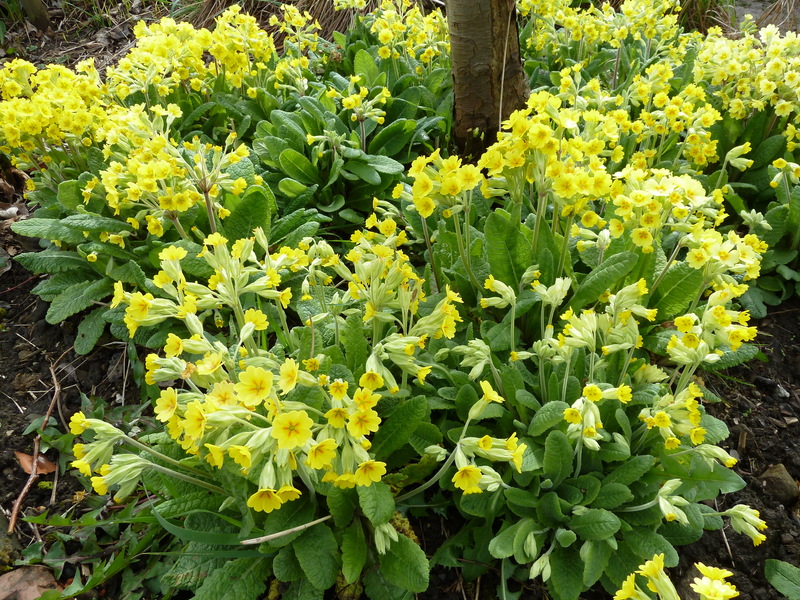 It seems like opinion has settled such that there’s the primrose; primula vulgaris, cowslip; primlula veris and the oxlip; primula elatior and then the ‘false oxlip’ which is indeed a hybrid of the primrose and cowslip. It seems that in planting cowslips and primroses in the same border, the bees I was so keen to encourage have cross pollinated and left me with another plant altogether. 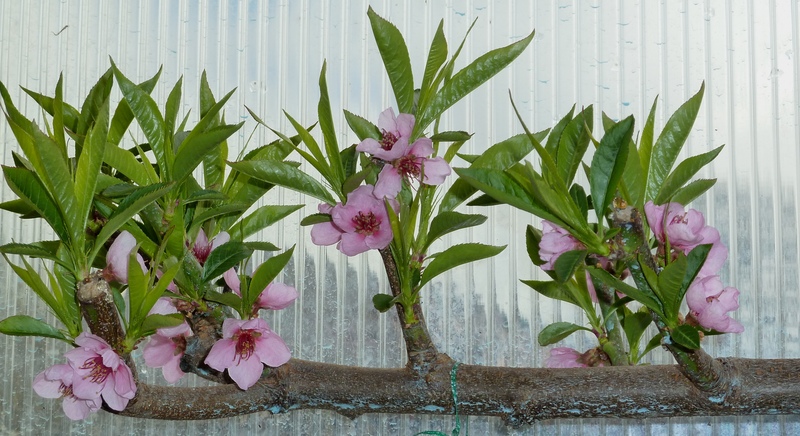 This is the plum blossom which is already making me excited about the future harvest – fingers crossed.